John Fowler was born into a wealthy Quaker family and after initially following his father’s wishes in becoming a corn merchant he soon decided to go his own way and become an engineer. Fowler joined railway manufacturers Gilkes Wilson & Co of Middlesbrough, a firm that produced 351 locomotives between 1847 and 1875, including over 100 for the Stockton & Darlington Railway. It was on a visit to Ireland in 1849 that John Fowler witnessed the aftermath of the potato famine. He had travelled there with a group of fellow Quakers in order to organise help for those hit by the famine. In his capacity as an engineer with a background in agriculture it was hoped that Fowler might find engineering solutions to farming problems. On his return to England he left Gilkes Wilson & Co and began working on machines for improving drainage, thus allowing wasted bog land to be cultivated. Just a year later his machine was demonstrated to the Royal Agricultural Society. It worked using horses for power and geared capstans which allowed more substantial channels to be dug. The early experiments did not run smoothly and Fowler decided eventually that a steam engine was needed to work the machinery. It was soon realised that there were many other applications for a steam engine in farming, particularly in the work of ploughing so a number of ways of putting steam engines to use for these purposes were devised. 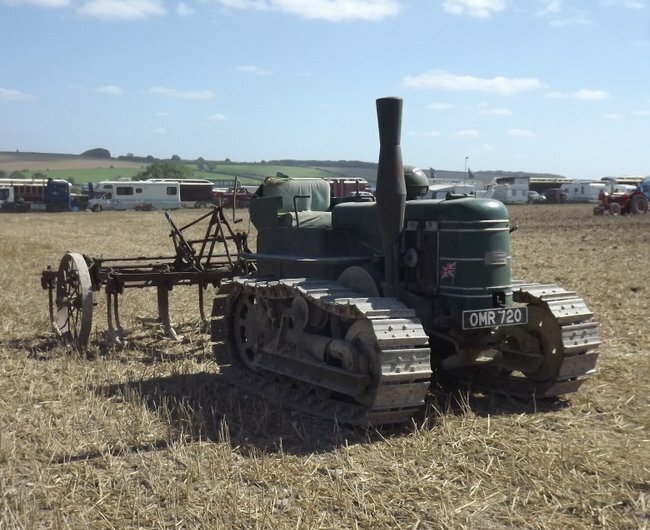 Some firms tried hauling ploughing equipment across the field directly at the back of the engine, though generally the weight of the engine would cause it to get bogged down and it would not produce good results. Several experiments were carried out using a steam engine with an attached winding drum that could haul a plough back and forth across the field. A number of arrangements were devised using an engine moving along the headland at one side of the field and a rope anchor set up at other side of the field to keep the plough in a straight line. Much of the early equipment was made in Bristol in partnership with fellow Quaker, Albert Fry, of the famous chocolate making family (Fry’s incidentally had been using a Watt engine to grind cocoa at their works as far back as 1795) though this partnership only lasted until 1855. 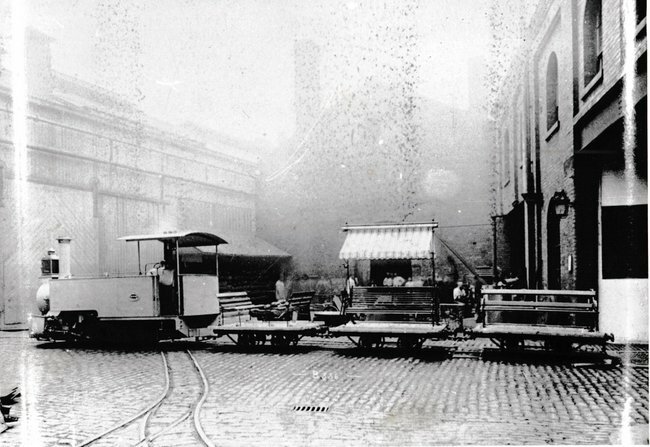 The Fowler-Fry works continued as the Bristol Carriage & Wagon Works until it was taken over by Leeds Forge in 1920. The factory was sold to Bristol Tramways and Carriage Co, a forerunner of Bristol Commercial Vehicles. 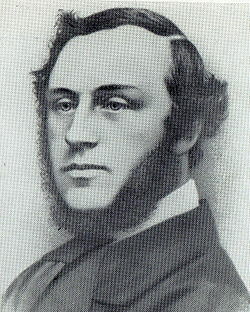 After several attempts in competitions, Fowler eventually won the Royal Agricultural Society’s £500 prize in 1858. The engine used was 10 nhp portable engine manufactured by Ransomes of Ipswich and fitted with a twin drum windlass, manufactured by Robert Stephenson of Newcastle-upon-Tyne and mounted under the engine smokebox. The anchor carriage on the opposite headland was designed by Jeremiah Head of Ransomes, and manufactured by Stephenson. This success led to many orders for similar machinery, built for him then by various firms. 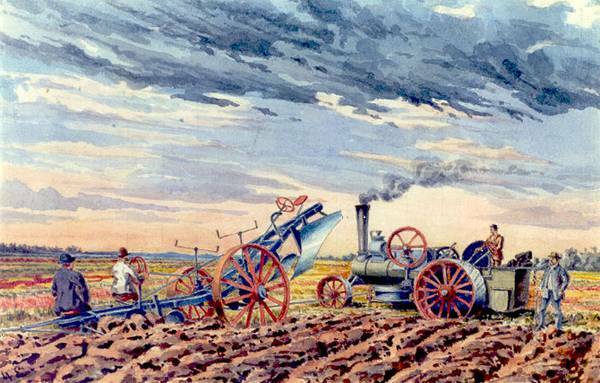 In the end the most efficient method of steam ploughing was found to be to use ploughing engines at both sides of the field, hauling the plough back and forth between each other and this became Fowler's prefared way of doing things. Large numbers of pairs of these ploughing engines were sold all over the world. In many instances firms of ploughing contractors were established who would travel around from farm to farm undertaking ploughing work that previously would have involved raising near armies of farm labourors and taken far longer to complete. In 1860 Kitson & Hewitson took on all the engine orders. With business booming it was soon decided that Fowler needed a works of his own. 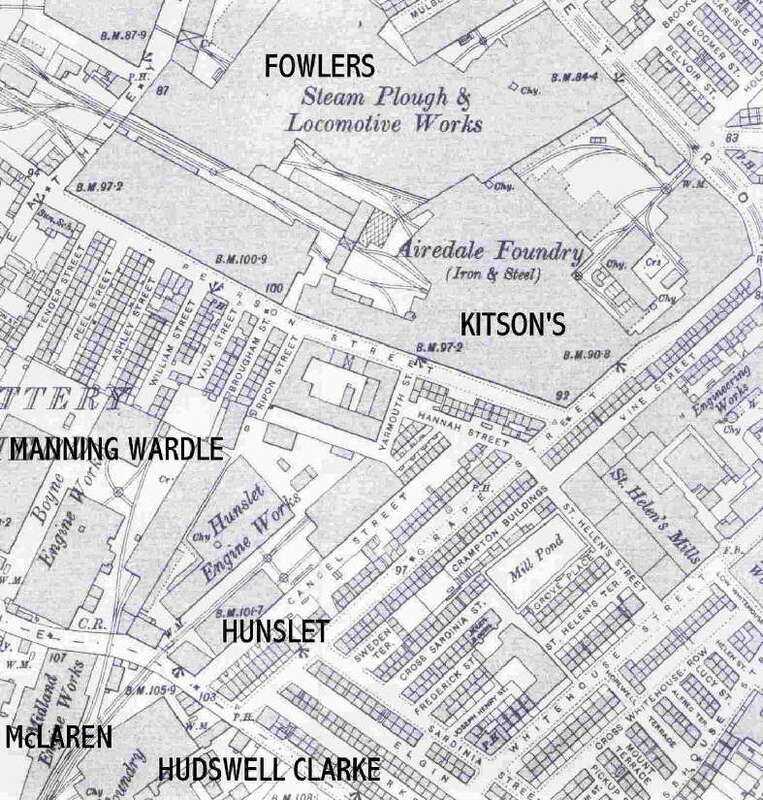 In partnership with Kitson's financier and fellow Quaker Hewitson, as Hewitson & Fowler, the Steam Plough Works was established on land adjacent to Kitson’s works in Hunslet, Leeds. In 1861 German Engineer Max Eyth enquired about a position at the new works. I got to know John Fowler, who stood by his steamplough in the midst of a circle of pleasantly animated farmers who were congratulating him on the prize of the Royal Agricultural Society of England just won. I found him in a stubble field before a broken implement of mysterious appearance, full of interest and zeal. A splendid man of about 34 years old, big and stately, black hair and affable, with a laugh that did good to all within a hundred yards of him, he read my letter [of introduction from Alfred Tylor, a London brass founder whome he had befriended], shook my hand, but could not use me. Fowler soon changed his mind though. My friend Tylor in London reminds me about you. If you are inclined to commence work in my factory, just recently started, you will find a vice. As soon as opportunity offers, I will take care that you learn steamplouging. After that we must see. I believe in the future of the thing. Though Eyth contributed greatly to the development of designs in the Leeds works it was for his overseas travels that he became better known. A talanted writer, artist and poet, his tales of adventures whilst selling machinery to developing countries became popular books. He also went on to write a couple of novels and collections of short stories. After just over twenty years with the firm he returned to Germany where he founded the German Agricultural Society in 1885, modeled on the Royal Agricultural Society of England. Below - Max Eyth painting "Heath Plow to Lopau (June 1903)"
Hewitson died in 1863 and the firm became known as John Fowler & Co, although sadly, Fowler himself never lived to see the works at full production. Overworked in establishing his Steam Plough Works, Fowler suffered a nervous breakdown in 1864. He then went in to partnership with his brother Robert and left the business in order to recuperate. He was encouraged to take up fox hunting but during a hunt he fell and broke his arm. Tetanus developed and on the 4th December John Fowler died at the age of just 38. With a number of changes in partnerships the firm continued under Robert Fowler. After the initial rush for Fowler's new ploughing engines the company looked for other products they could add to their range. From 1866 they started producing railway locomotives. Initially some standard gauge locomotives where produced for main line railway companies, however, the main line companies were establishing their own works around this time. The independent engine manufacturers soon had to look elsewhere for business (this was a problem at all the other engine builders in the area). 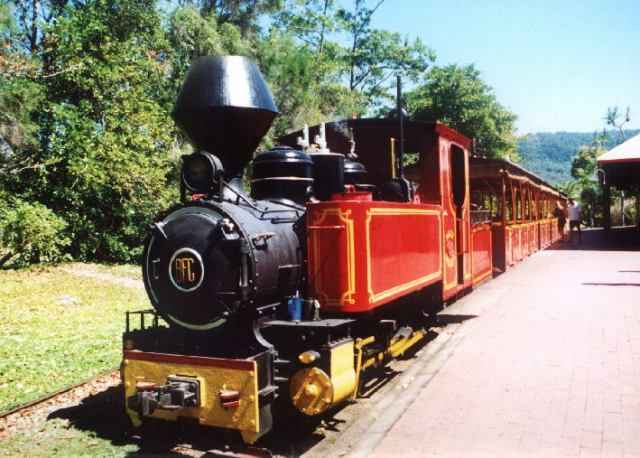 Fowler concentrated on the Narrow Gauge market and had particular success supplying engines, track and wagons to sugar cane plantations overseas. Fowlers produced portable track pannels under licence to the Decauville system, developed by Frenchman Paul Decauville. Fowler had supplied Decauville with steam ploughs for his own sugar beet plantation and had an agreement where Decauville produced Fowler implements under licence in France. Fowler developed the portable railway equipment and later introduced their own "Grieg's Patent Portable Railway" in 1879, somewhat souring the firms relationship with Decauville.David Grieg was one of the key figures in Fowler's early history behind many of the company's designs and was given charge of their light railway machinery department. 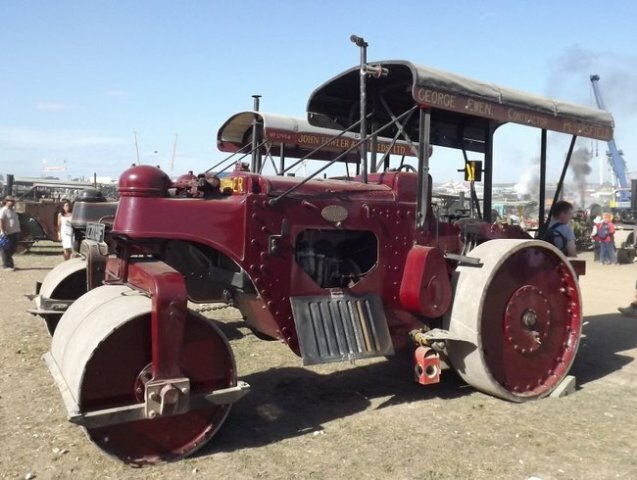 Traction engines were developed for road haulage use, based on their Ploughing Engines. Large numbers of these were put to use by a number of haulage companies for moving loads to places the railway network couldn't reach. In many cases the engines could be used to carry enormous loads such as mill boilers to difficult to reach places. Fowler made the wagons the engines would tow and, as journeys sometimes took a number of days, Fowler also provided the living vans for the crew. One of the interesting developments in the Road Locomotive range was their armoured road trains used in conflicts in South Africa and India around the turn of the century. These would haul four or five armoured wagons containing in effect a mobile armory with all manner of workshop equipment. Four B4 Road engines were also employed on construction road trains for the Ugandan Railways allowing men and materials to be in position up to 20 miles ahead of the limit of the railway tracks working on the trackbed. However road trains in the UK were limited to three wagons and a water carrier so this country never saw road trains of this size except for the occasional tests of Fowler equipment, an armoured traction engine with mobile armory must have been made an interesting sight on some of the quieter roads of West Yorkshire. Showmen also began to use Traction Engines to haul their fairground rides from one fair to the next. This led to another spin off, the showman’s engine. These would often have a dynamo to power the ride or a crane attachment to assemble it. Showmen’s engines were elaborately decorated and they became a fairground attraction in their own right. An interesting fairground attraction Fowler produced was a miniature train on a cirular track, similar to many seen on fairgrounds today except that back in 1895 the steam engine at the front of the train was quite real. At least two were produced, works numbers 7528 and 7529, though 7528 was later converted to a conventional saddle tank locomotive. Another variant of the Traction Engine was the Steamroller. 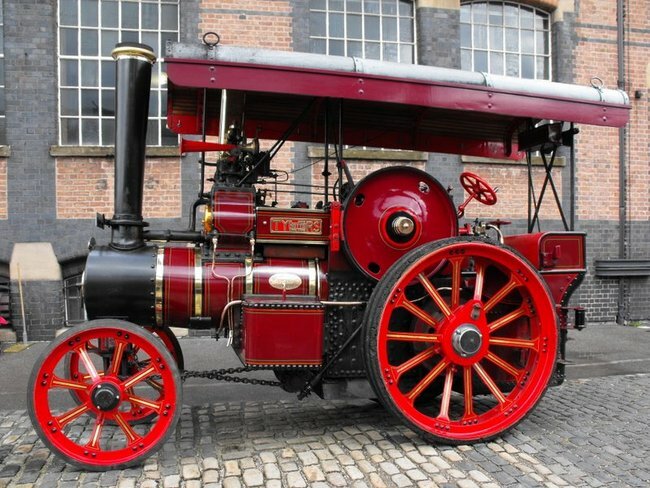 At first Fowler didn't produce these as they had an agreement with Thomas Aveling of Aveling & Porter that they wouldn’t build any steam rollers, though the firm went on to produce large numbers of these after Thomas Aveling’s death in 1881. As well as these verious mobile forms of steam engine the company produced many stationary engines and winding mechanisms for railways and collieries. The winding business was another spin off of the ploughing engine development. New uses were sought for their "Burton Clip Drum" a winding drum with mechanisms to prevent the cable from slipping. With so many Fowler products using cables they established a cable making subsidiary. Many Fowler stationary engines were used to drive electricity generating sets in the early days of electrical power. Fowler established an electrical department for such machinery. In 1895 an Afghan prince visited this and other works in Leeds and took quite an interest in the Electrical department as the Leeds Mercury of 19th June 1895 records. His Highness was shown electric motors from 12 to 5 horse power. An overhead crane capable of lifting 10 tons, and worked entirely by electricity, was seen in operation. [This is possibly Thomas Smith's first electric crane] Messers. Fowler are manufacturing dynamos for the Yorkshire House-to-House Electricity Company's station in Whitehall-road and attention was directed to one of the dynamos, of 400-horse power, which was at work." The report also mentions similar equipment under construction for Coventry, Reading and Kensington.The Ameer of Afghanistan had been keen to industrialise the country and was establishing a factory in Kabul under the guidance of British engineer Sir Thomas Salter Pyne (Pyne later published accounts of his work in the court of the Afghan ruler). Fowler's portable railway and traction engines were supplied to this project. Despite the various diversions the company made in its product range the agricultural machinery was always their core business. In 1927 Lord Aberconway records in his Basic Industries of Great Britain "At the commencement of the present century the demand for cultivating machinery became so great that the electrical and locomotive branches were discontinued, although the firm still undertakes light locomotive building, chiefly for plantation work. Lord Aberconway records "It is the world's largest maker of cultivating machinery, and thousands of sets have been built for work all over the globe." Key to this overseas trade was, as well as having their well travelled representatives, a network of overseas branches who could handle the sales and servicing of Fowler products. Several overseas offices were established to handle exports and Fowler machinery. The largest site outside Leeds was Magdeburg in Germany. It was through here that products could reach central Europe, Eastern Europe and beyond to Russia and the Far East. Another important overseas establishment was the Sydney office to which orders for Australia and New Zealand were dispatched. This overseas network was vital for their export business as engines sent to the other side of the globe could not be sent back to Leeds for servicing requirements. The 20th Century brought the internal combustion age and John Fowler & Co were quick to move with the times. As early as 1902 the company began working on oil powered engines, in 1909 they produced their first traction engine to use an internal combustion engine. These engines didn’t prove popular and only 40 had been produced by the early 30s whilst at the same time 200 steam traction engines were built. Unlike more modern tractors the early internal combustion engines were large and cumbersome machines and didn’t offer much advantage over the tried and trusted steam engines. Likewise their early internal combustion powered road rollers did not make huge inroads in to their orders for steam rollers. Fowler subsequently went into developing smaller tractors including ‘crawlers’ that used caterpillar tracks similar to army tanks. They produced several prototypes for products aimed at introducing the internal combustion engine to their main markets of agriculture and road haulage. None of these products seemed to capture the markets as well as their steam engines had done in the previous century. A number of lorry designs were developed, however changes to what was permitted on the road network effectively ruled out everything they had on their drawing board at the time. An electric powered ploughing engine was developed on paper. As strange as this sounds there was great interest from Russia where it was hoped they would be employed on vast wheat fields. A change in diplomatic relations prevented any sales before the idea could be turned in to reality. In the 1920s and 30s things just didn't seem to be going their way. Fowler produced a petrol powered locomotive in 1923, this was followed by a range of small diesel locomotives. 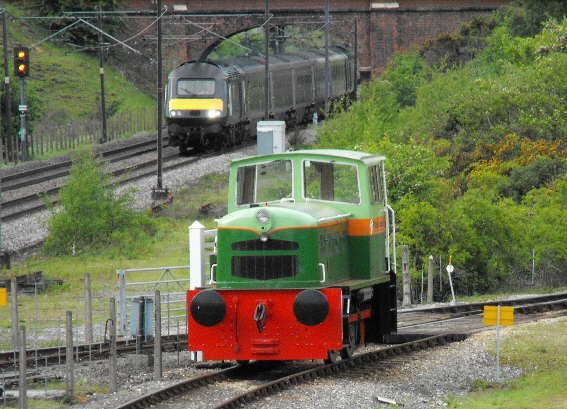 They had more luck with this innovation and these shunters proved very popular as firms began to realise the advantages of using diesel shunters in private sidings over steam locomotives. When infrequent shunting work was required it was not cost effective to have a steam engine crew on hand from the early hours of the morning to steam the engine. Fowler’s little shunters were ideal for a number of firms. 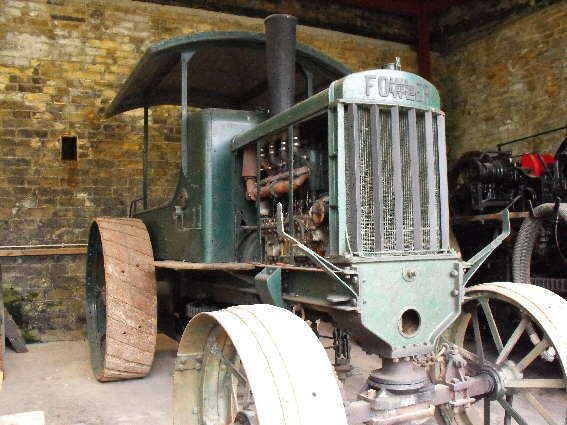 Fowler sold their steam and internal combustion road-roller business, to Marshall & Sons of Gainsborough in 1937. Production of other steam engines ceased and the servicing of existing engines was passed on to J&H McLaren of the nearby Midland Engine Works on Jack Lane, Hunslet. This servicing work was undertaken in a part of the former Manning Wardle works. There were resignations and sackings amongst the managers and directors had to forgo their salaries for a time. In the end the problems within the company had to be put aside when the works was needed to make tanks for World War 2. To safeguard this essential work the company was nationalised in 1941. In the war years the Steam Plough works was almost entirely dedicated to the war effort and large numbers of tanks were made. Fowler built 580 Matilda, 274 Cromwell Mk V111, 529 Centaur and 250 Comet tanks giving a total wartime tank production of 1633. The works were permitted to take on some non-military work. Agriculture and industry were, after all, still key to Britain’s survival. After the war the company was sold back into the private sector being purchased in 1945 by Rotary Hoes Ltd and it was soon sold on once again, in 1946, to Thomas W Ward of Sheffield. Thomas W Ward had already bought Gainsborough traction engine manufacturer, Marshall & Sons, in 1936 and with both firms working on similar products the decision was taken to merge them to form Marshall-Fowler . The Fowler works began mass production of crawler tractors to complement the Marshall range of tractors; these included the popular Track Marshall (a caterpillar version of Marshall's Field Marshall) and the later Challenger ranges. Above - One of the Fowler built Track Marshall tractors. (Photo Kris Ward) click here to see a picture of one of the Gainsborough built Field Marshalls for comparison. Locomotive production also continued after the war, although from 1947, Fowler used engines made next door at J&H McLaren rather than their own engines in the locomotive range. 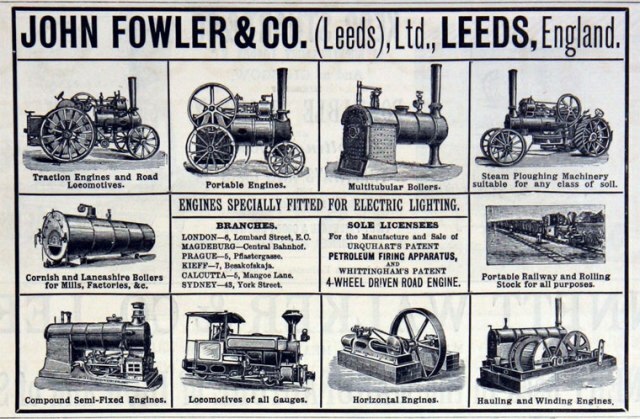 When that company closed, Fowlers used engines from a number of manufacturers. 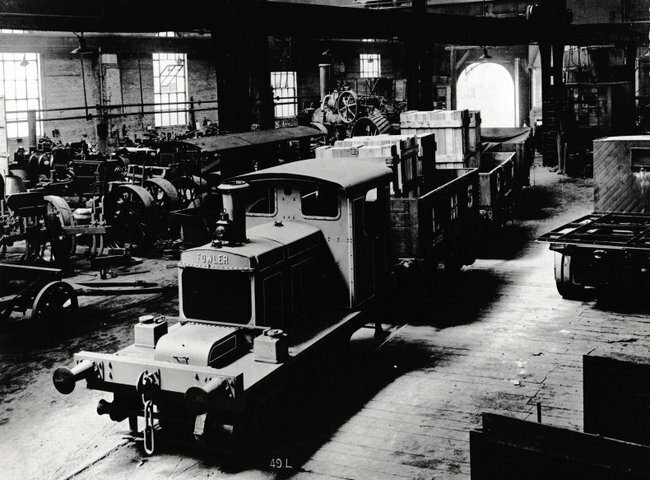 In 1968 locomotive production at the Fowler works ceased with the locomotive business being passed on to Andrew Barclay (who was subsequently merged with Hunslet Engine Co). With many firms having recently replaced their steam locomotives over the last 20 years or so, not to mention road haulage having an increasing share of the market by the 60s, the demand for locomotives had fallen. It was thus decided that it was best to move on the locomotive business and dedicate more workshop space to production of Crawler tractors. Fowler locomotives produced in the 1950s and 60s were quite different to those of the 1930s and 40s, both externally as well as internally. The traction engine style chimney was gone and a modern streamline appearance was introduced. In 1974, the remaining business was transferred to Marshall's Britannia Works in Gainsborough and the former John Fowler & Co Steam Plough and Locomotive Works was finally closed. Within a year of closure all but the locomotive erecting shop (which still stands to this day) was demolished and the company had been sold on again, this time to British Leyland. With the continuing decline of sales the Gainsborough works closed in the 1980s. Production of the Track Marshall tractor range did continue for some time under various other firms, although as wheeled tractors improved over the years, their numbers declined and production ceased altogether in the early 1990s. The Fowler name survives in South Africa as a result of the continuation of the company’s South African subsidiary after the takeover of the British firm, Marshall-Fowler. Marshall-Fowler (SA) (PTY) Ltd manufactures boilers in Aureus, Randfontein, South Africa. 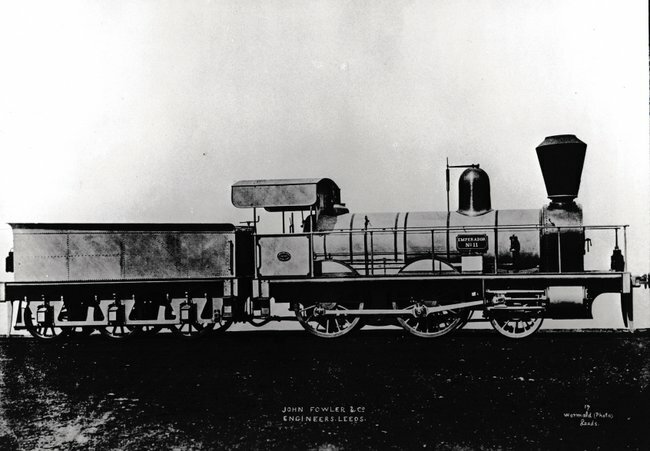 At the time of writing a John Fowler steam roller is used to illustrate their website. What mortal lungs can shout thy worth! Our collections of Fowler related photos includes the works photos from their locomotive department from the collection of Michael R. Lane, with thanks to John Pease. There are quite a few Fowler machines still to be seen locally. The complete database at present contains around 3000 entries and we have a lot of records still to add. Steam Plough Club History section of the site. Much of the archive material from John Fowler is held at the Museum of English Rural Life in Reading. The Jules Verne book The Blockade Runners, whilst it is fiction it gives a good account of the blockade of southern ports in the American Civil War. With thanks to Derek Rayner and the Leeds & District Traction Engine Club for help in producing this article.